Black Friday´s biggest revenue is due to online sales. Adobe Analytics reported that last year Black Friday brought in $5.03 billion and Cyber Monday $6.59 billion by the end of the day, hitting a new record as the largest online sales day in history. 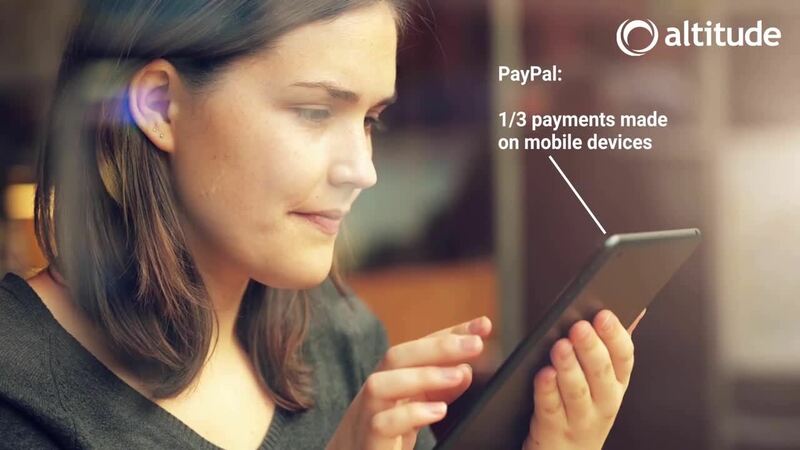 Similarly, one third of all PayPal payments were made on mobile devices, as PayPal handled $15,507 in payments per second. Customers are more demanding and tech-savvy than ever, which brings different challenges to businesses. Your customer service standards need to be even higher at these times if you want to achieve long term customer loyalty. What can you do to ensure the high customer service standards that your customers deserve. For starters, you need to successfully handle the massive business traffic in your contact center during Black Friday and Cyber Monday. But how can you afford that? It´s only a handful of days until the operation goes back to normal again. How to prepare to the what seems an uncontrollable amount of interactions without severely raising costs? A workforce management solution helps to easily figure out the forecasts and enable to schedule accordingly. Moreover, the addition of extra resources, be it human or software related, to face peaks is the right approach to face the seasonality challenges. A flexible contact center solution supports scalability, enabling the increase or reduction of the operation to face seasonality peak times, and of course, charging only for what is used. Ensure the success of the customer service strategy by leaving no customer behind and no interaction unattended. Then, you need to prepare for the high volume of interactions: calls, chat requests, SMS, Social Media enquiries flooding from all over the place with requests about product availability, how much is the discount, why doesn´t the discount work, why the price tag and check out tag are different… And this is just the beginning! Then there will be the returns, exchanges, broken products, wrong products received, late deliveries, complaints about these the million other issues that come with the massive volume of business originated during Black Friday and Cyber Monday. The word that comes to my mind to describe this is CHAOS!! The customer journey is moving to mainly online channels and everyone knows that customers engage in a multichannel behavior in what buying habits are concerned. It´s very common for someone to look up an item online, then go to the store check it out, go back online to buy it, preferable with a discount on Black Friday and Cyber Monday, and then go on the chat to ask about a specific feature or make a technical inquiry. However, the customer journey does not, better yet cannot, stop with the digital channels. It is very important to also integrate the store experience with digital strategy. Customers appreciate options that make them save money and time; and you appreciate long term customer loyalty to grow your business; so give them the best of both worlds. For example, let them order online and then allow them to pick up the item in the store hassle free. All channels are important to your customers, meet them where they are and provide the best customer journey across all of them. The contact center solution must support a customer centric strategy that integrates all touchpoints, that is, provides an omnichannel view of each customer regardless of where the customer chooses to get in touch with your business. Have not only a unified view of this year´s Black Friday/Cyber Monday interaction, but the whole history record of the relationship that each customer has had with your business. Now that technology is taken care of and out of the way you need to empower your agents to provide the most excellent customer service. Customer expectations are high, and their patience is low during the holidays. So you look around the departments of your company and recruit a few agents to help out during the Black Friday and Cyber Monday peak. Agents have to be more efficient than ever and do their best at solving the interaction at the first time (FCR) and providing an amazing and personalized customer experience. According to the 2017 Deloitte Global Contact Center Survey when asked what was considered a good customer experience, accurate service and quick information was at the top of the list. Information is power, and an important part of the success of the customer experience is in the fact that agents need a 360º view of the customer; that is, independently of where the customer journey started, if all the data, touch points and others is accessible it empowers agents to deliver the best customer experience. The contact center solution must give agents the ability to wow customers at each interaction. Using skills to match the right agent to the specific needs of each customer, a user-friendly, intuitive agent desktop that enables people to start using with just a couple hours training. The desktop must give the right information that empowers agents to make each customer feel special and unique, and a knowledge base that enables them to give appropriate and accurate answers in the shortest time frame are just a few of the features. Last, but not least, is the protection and security of the huge amounts of personal data, including credit card information, that will be exchanged during Black Friday and Cyber Monday. Your whole infrastructure needs to be integrated to ensure that personal information about your customers is properly and safely stored. Shield your site with additional protection, such as firewalls that block threats, spyware, adware, and virus protection. Encrypt passwords and other sensitive information to keep it safe if it ends up falling into the wrong hands. You also need to control what your agents are doing, track their status and activity, and ensure that they use customer personal information only for what they are supposed to. Ensure that the contact center solution abides by the most strict industry regulations, abides by security standards and and is compliant with the main protocols, such as TCPA, SSL encryption, PCI-DSS, and so on. Increasing task force during holiday season is not enough to get through it. The right contact center solution is the difference between offering a wonderful or dreadful customer experience. Features like omnichannel, scalability, security, agent empowerment, user friendly interfaces, and others are the key to thriving and growing your business, raise your customer service standards, and nail the customer experience during and beyond the season. See how Altitude is the right partner to side with you in this challenge!